A journalist's blog dedicated to Irish and Irish-American history and contemporary issues. 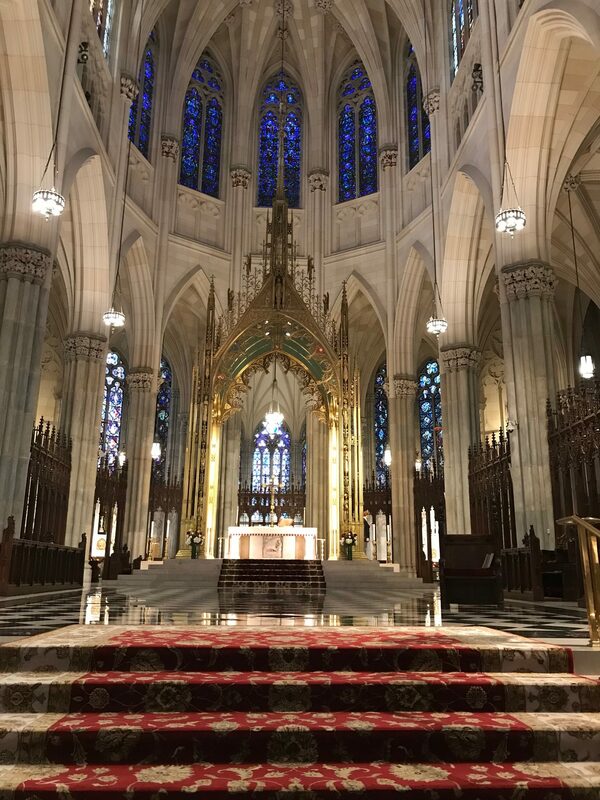 This week I returned to St. Patrick’s Cathedral in New York City for the first time since before the church’s massive exterior and interior restoration from 2012 to 2016. This year is the 160th anniversary of the laying of the church’s cornerstone on 15 August 1858. 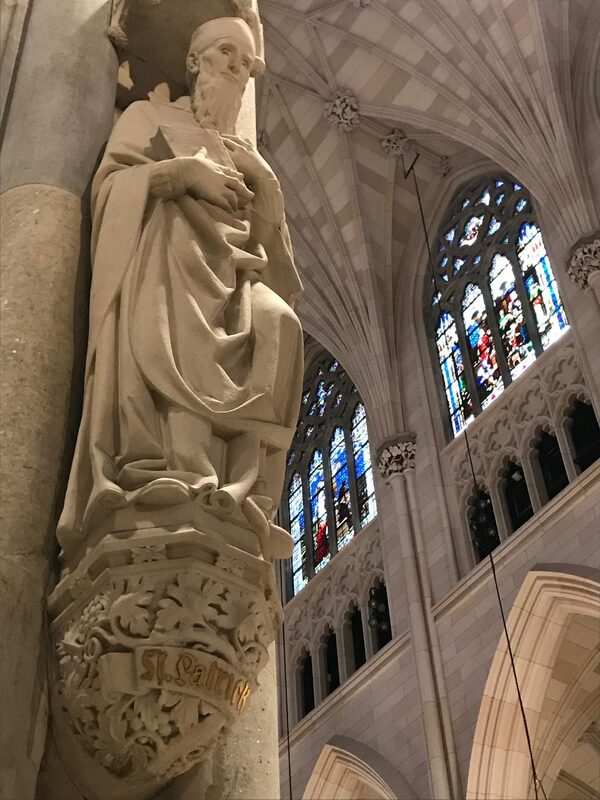 Himself, thinner, more humble-looking than most statues of the saint. 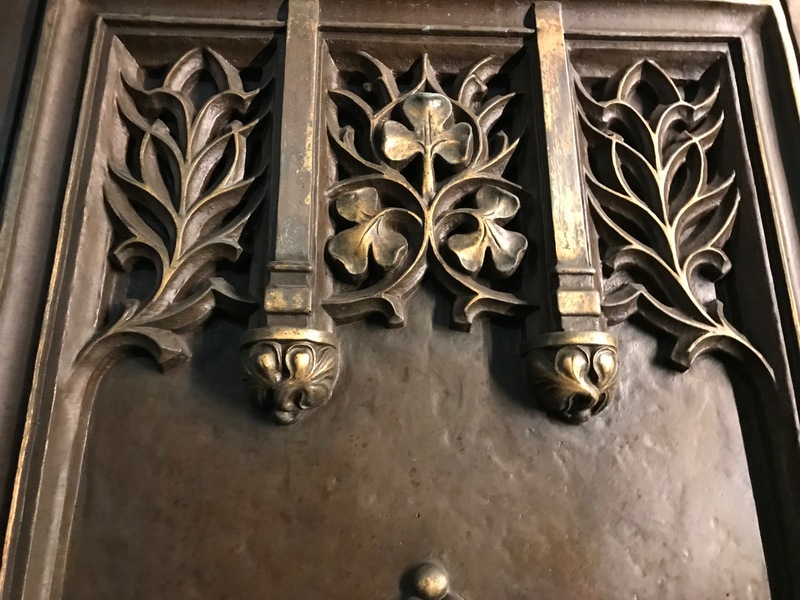 Shamrock detail on front doors. The twin spires at night. See the St. Patrick’s Churches section of the blog for more photos and links to other worship spaces dedicated to Ireland’s patron saint. 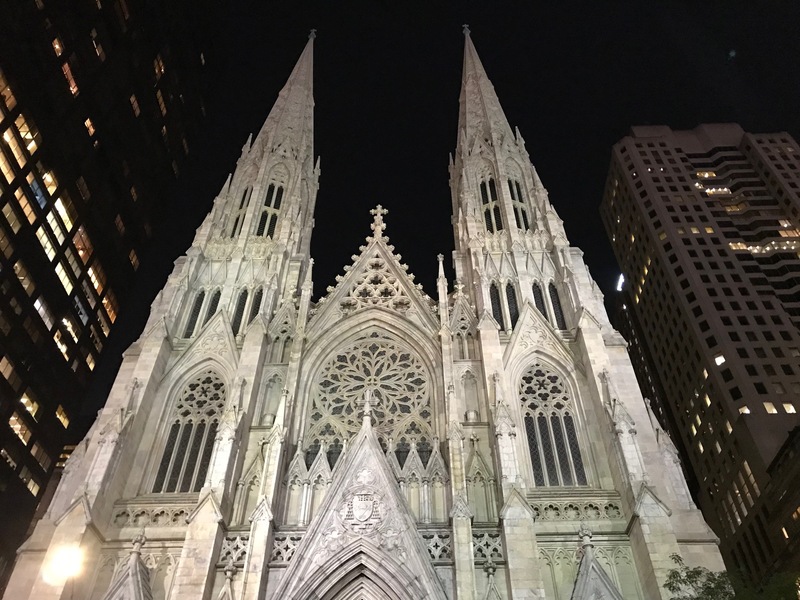 This entry was posted in Arts & Culture, History, Irish America, Religion and tagged St. Patrick's Cathedral on October 5, 2018 by admin.